So much news! So much touring! So many links! 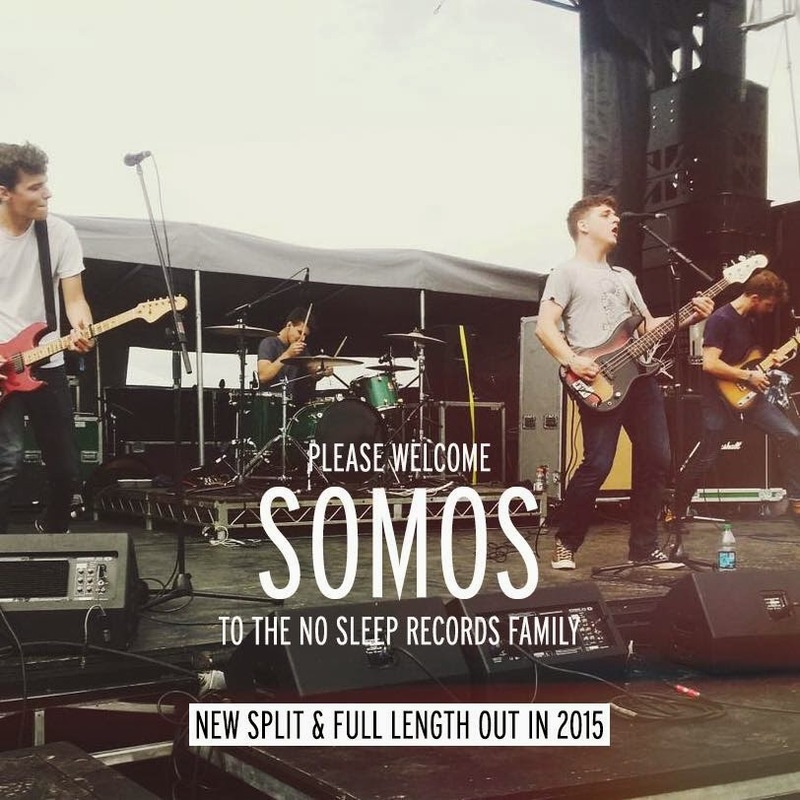 Boston indie/emo band, Somos, announced today that they are the newest addition to the No Sleep Records family. You can check out a new song from their upcoming split 7” with Sorority Noise (Bad Timing Records) below (courtesy of Absolute Punk) and pre-order a limited edition pressing in fancy colors via Bad Timing's website. Be on the lookout for a full length to be released later in the year. A second pressing of Somos' latest record, Temple of Plenty (Tiny Engines) can be purchased on Opaque Lavender, Translucent Blue and Clear vinyl or available in digital format if you're not into tangible things. Temple of Plenty is also available to stream on Bandcamp if you're not into commitments. The band will also be on tour this fall with Modern Baseball, Knuckle Puck and Crying.